View of S elevation from SW.
View of E elevation and pedestrian deck entrance from E.
View of west elevation and main entrance from north west. 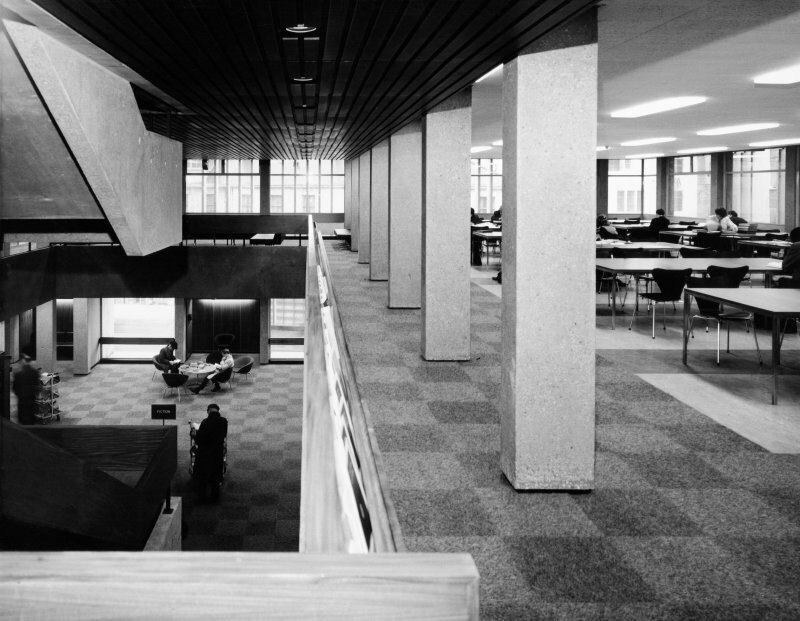 View of main lending library, and central staircase. View of E elevation from NE. 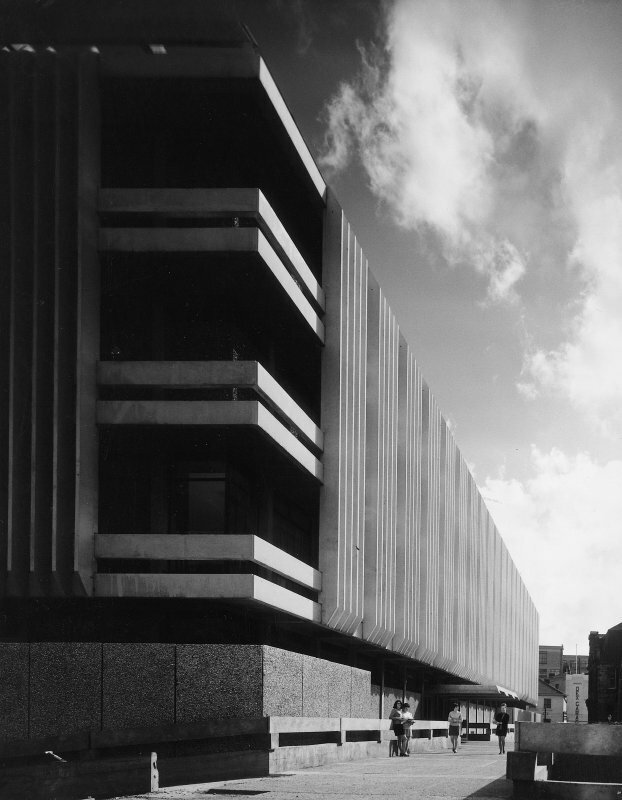 Newcastle Upon Tyne, Newcastle Central Library; Laing Art Gallery. View of model. View of Main Inquiries and City Information Services desks. Laing Art Gallery. View of model. View from NW, from below Princess Square pedestrian deck. 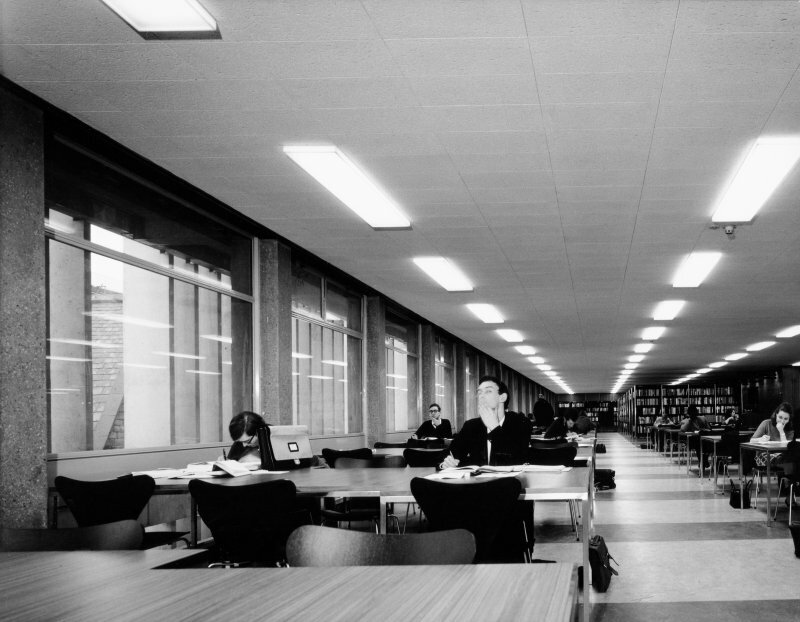 Newcastle Central Library was designed by Sir Basil Spence Glover & Ferguson in association with the City Architect, George Kenyon. 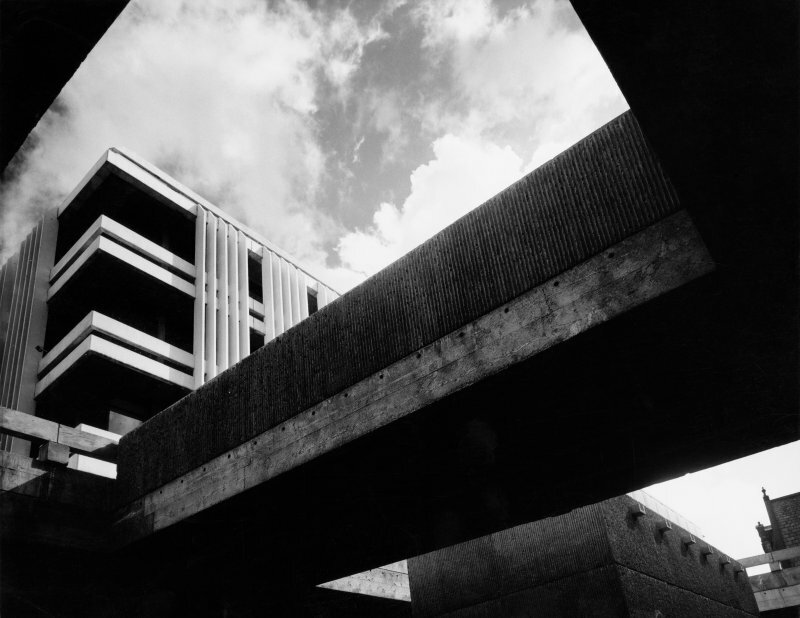 Opened in 1968, it was part of a larger redevelopment scheme. 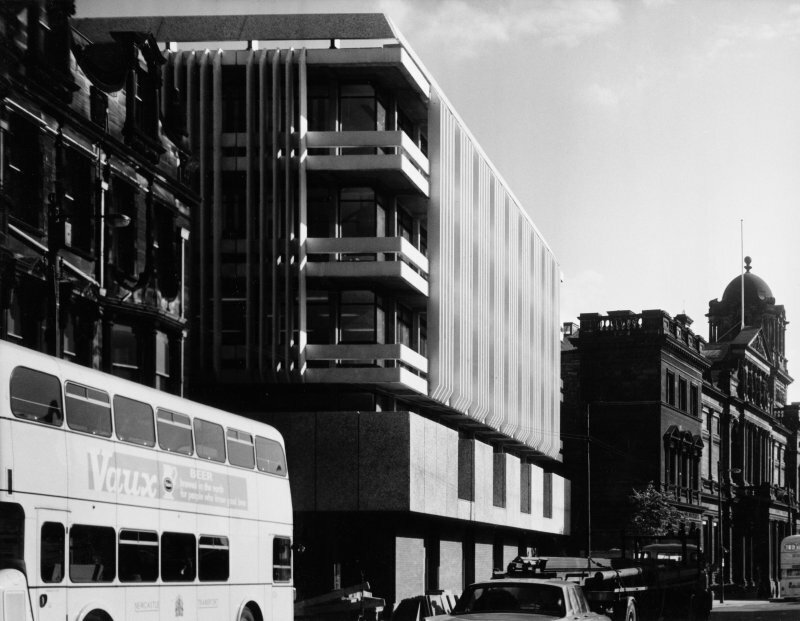 This scheme was to include a new road on the site of the old Victorian library, an extension to the adjacent Laing Art Gallery, a tall residential tower, and large pedestrian squares on decks above the new road to link all the buildings. 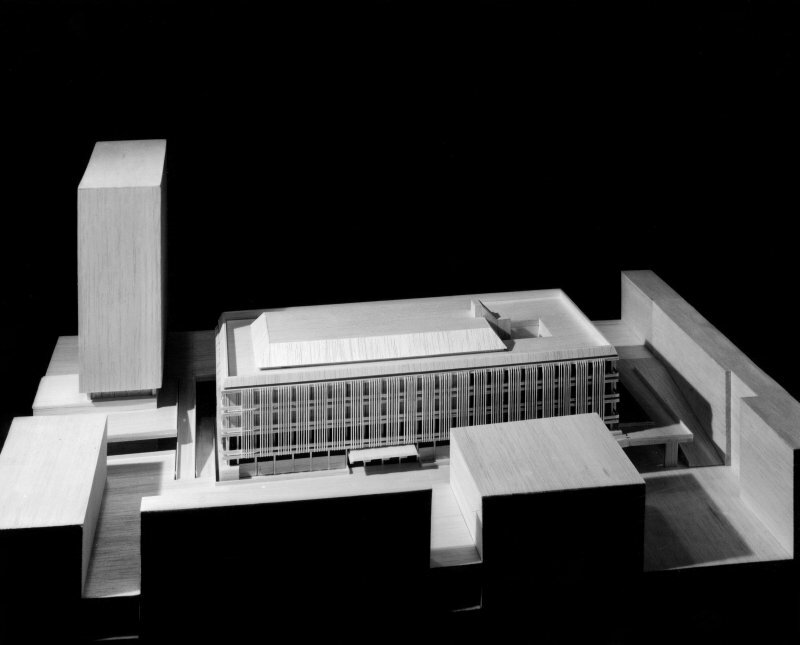 Only the Central Library, residential tower, and new road were completed. 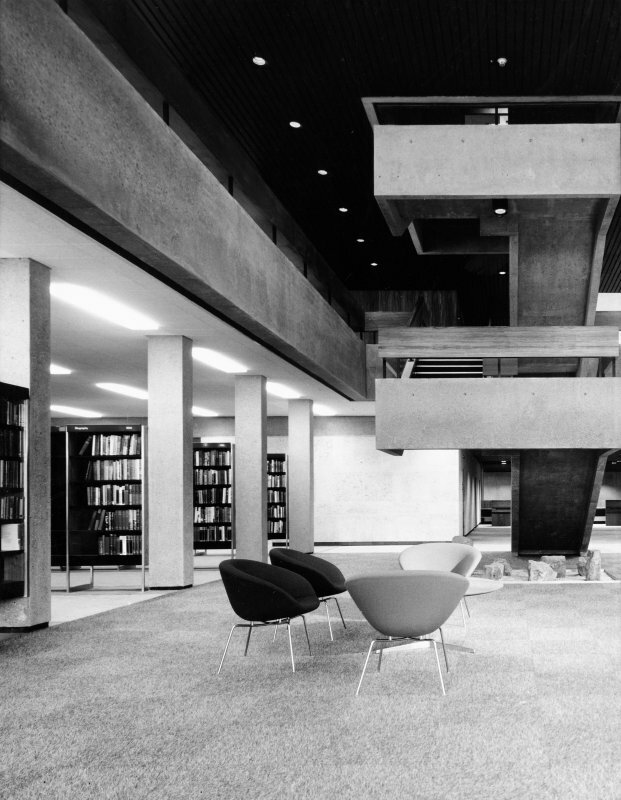 The library is a six-storey building, with deep balconies and vertical Portland stone fins that protect the interior from the sun. 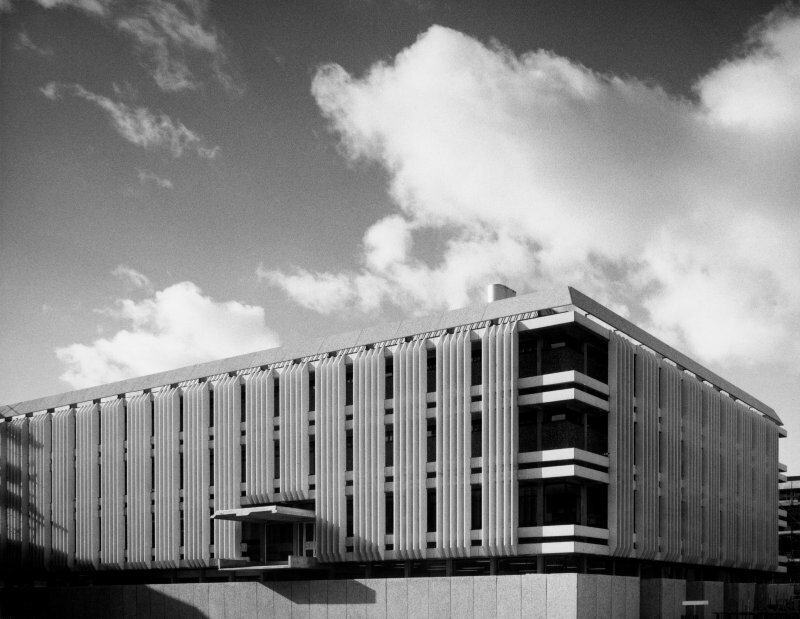 The building is scheduled for demolition in late 2006, with a replacement library building on the same site due to open in 2009. The manuscript material largely refers to the redevelopment of Newcastle's city centre as a whole. 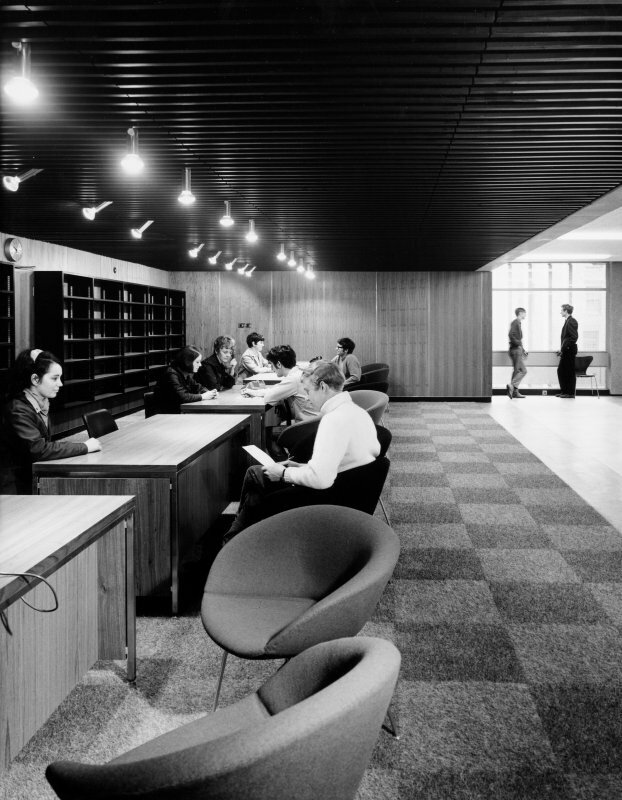 Nevertheless, example material relating to the library includes a letter from a member of the public urging the architects to ensure that the library was accessible to disabled users - a copy of the letter sent in reply demonstrates that such suggestions were taken on board. Other manuscript material highlights a key concern of the time: the building of new roads and roundabouts in the city. 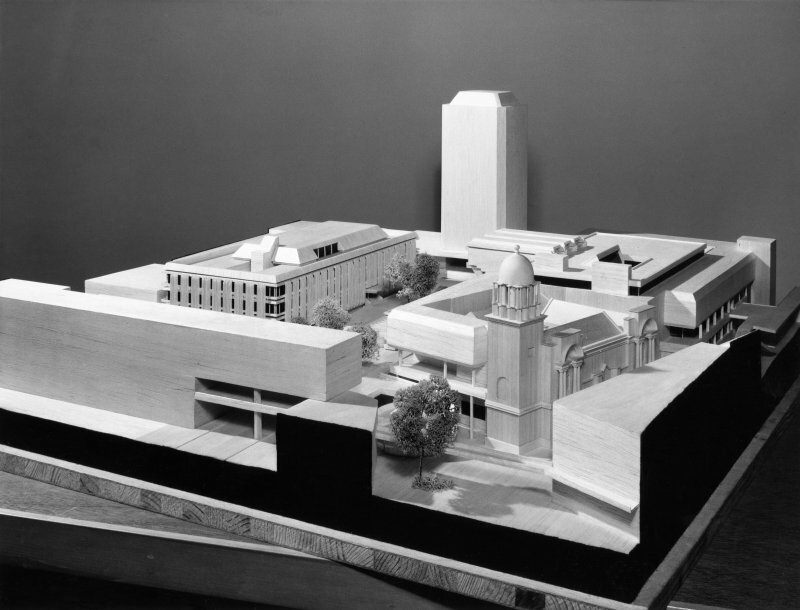 Included in the Archive are photographs of a model that shows how the library would have looked had the rest of the redevelopment scheme been finished. 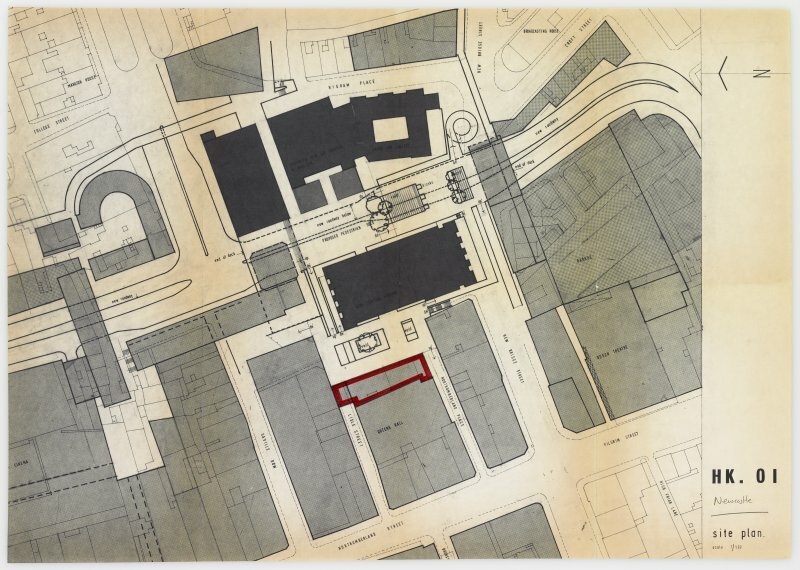 The Archive material also demonstrates some of the problems facing town planners and architects at the time, particularly when working with busy city centre sites. 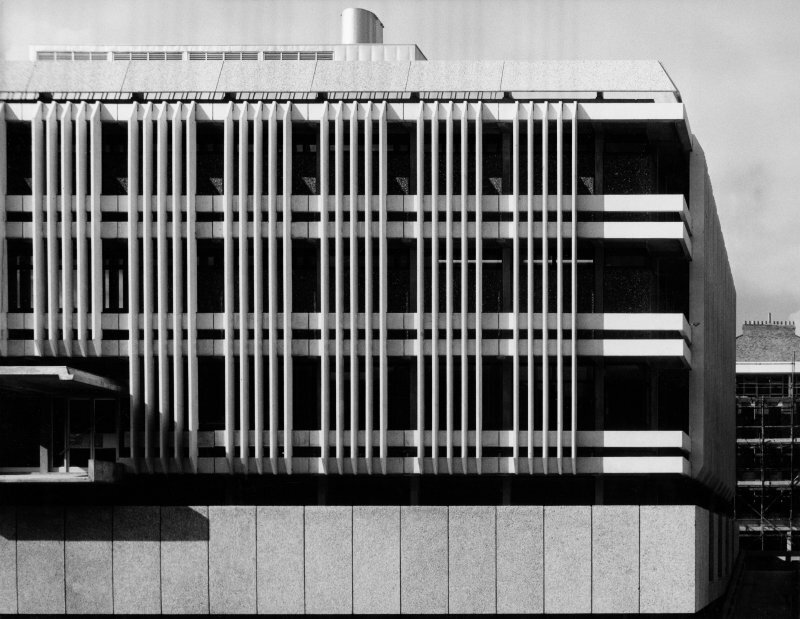 The drawings and photographs help to explain the odd doorway and balcony on the east elevation of the library - this was intended to be an additional public entrance leading from a pedestrian deck that was never built. 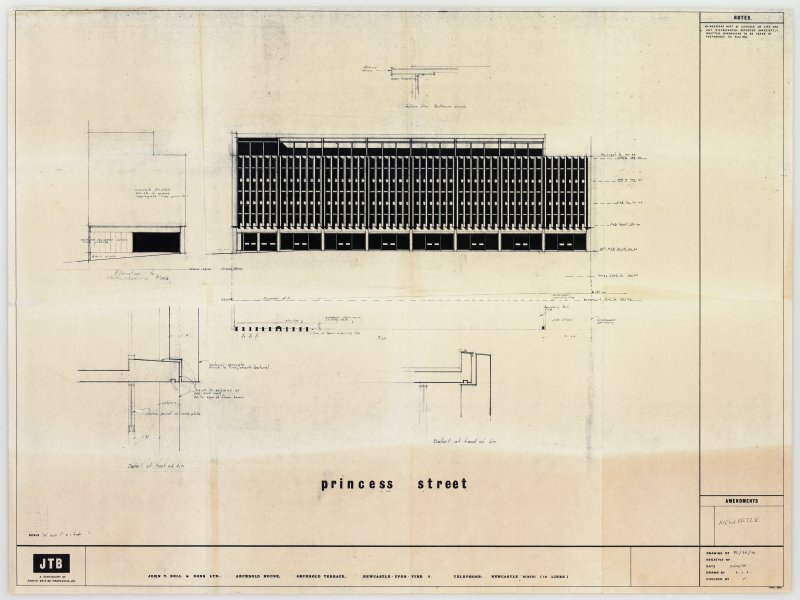 In total the Sir Basil Spence Archive contains one manuscript folder, and 11 drawings that include a site plan and layout plans of the redevelopment scheme. 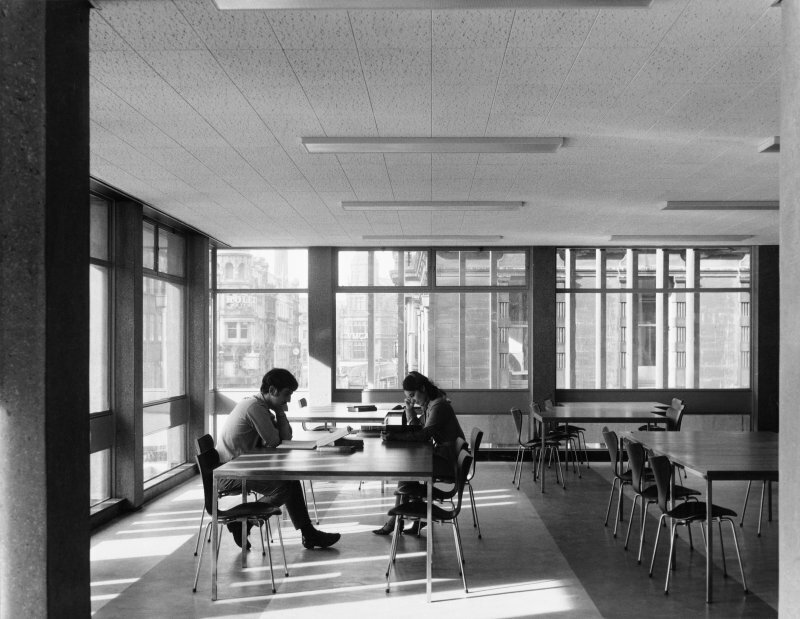 The 32 photographs include exterior and interior photographs taken by a professional photographer: these are duplicates of those in the Spence, Glover and Ferguson Collection, also held by RCAHMS. Whilst that collection contains 16 additional drawings, RCAHMS does not hold any floor plans and only one elevation of the library. 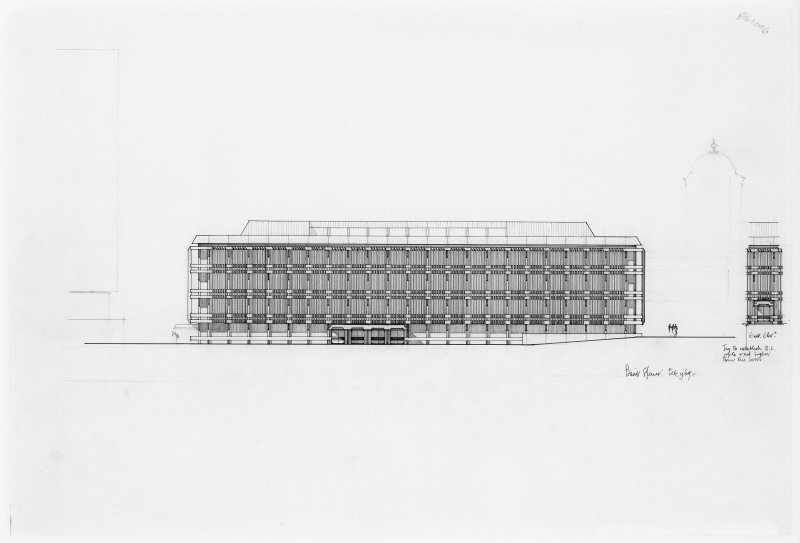 This text was written as one of the outputs of the Sir Basil Spence Archive Project, supported by the Heritage Lottery Fund, 2005-08.